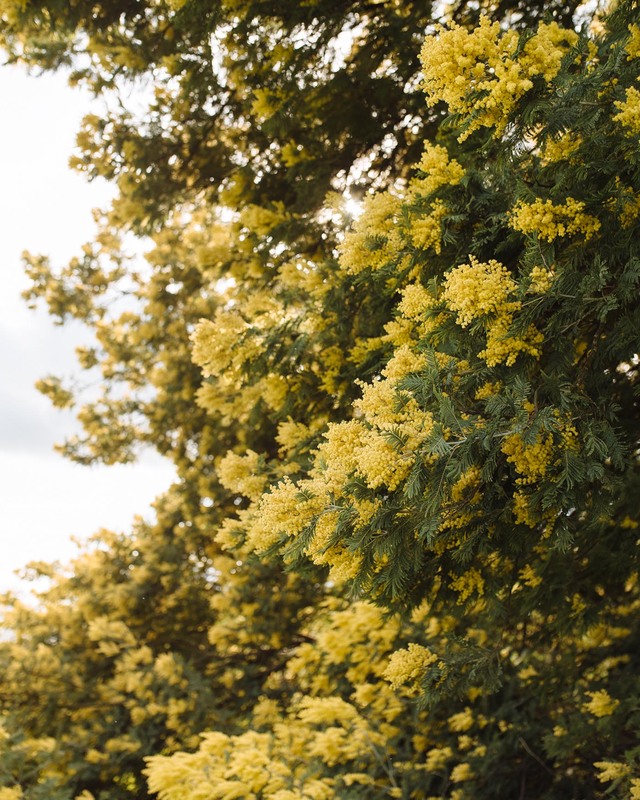 Sweet-smelling mimosa trees in Sonoma Valley, February 2018. Céline Spring 2018 look book photographed by Juergen Teller. Mimosa is blooming in California. I dream of a Celiné sundress and wear a yellow shirt. The color yellow is often associated with optimism, happiness and laughter. Of all colors, it is closest to divine light, and architect Luis Barragán used it as a reference to spirituality. In large doses, yellow can be too stimulating and evoke feelings of irritation and frustration. But to me lately, it feels warm and inviting. The next best thing to the sun.